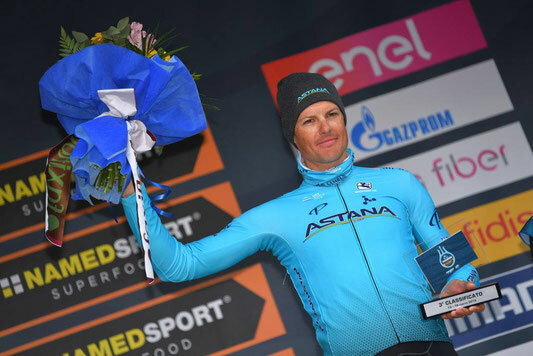 With a solid time trial, Jakob claimed his third place overall on the final day of Tirreno-Adriatico. Primoz Roglic won the overall classification by one second on Adam Yates who is 2nd overall in front of Jakob.
" I'm really happy for the 3rd place overall, it has been a good start of the season and to be another podium of a big race like Tirreno-Adriatico is really big. Especially when you see our position after the TTT, where we had bad luck with the conditions. It looked like a GC would be gone but we fought as a team to come back. As a team we can be really proud, as we really left our mark on the race here. We raced really hard, we won the 2 hardest stages, Lutenseko took the GPM and i'm 3rd overall, so a very good race of the team. Today I gave my best to try to change something in the general classification, but I knew it would be difficult because of the length of the time trial and the time gaps. Anyhow, it was a good test. I didn't feel like I was flying but I was also not going slow so in the end nothing changed and this day was ok. But this race shows again we're on the right track, the start has been good, now it's time to recover and look forward. I believe I van still improve for the next races, we will see." says Jakob. The riders started in Colli al Metauro to finish in Recanati after 180 kilometres of racing with multiple challenging climbs in the final part of the race. A breakaway of then riders formed early in the race, but when the race entered the local laps, only a few riders of this group remained. 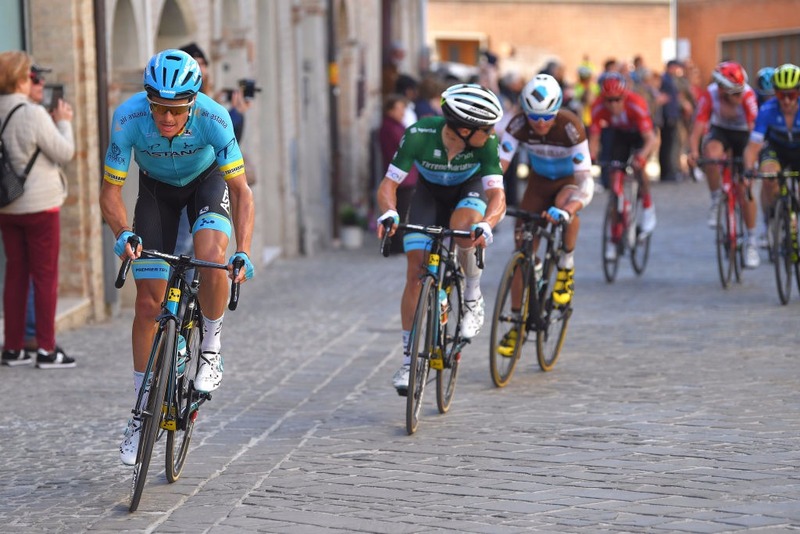 The riders of Astana Pro Team started chasing the front of a reduced peloton, and when Dario Cataldo finished pulling, Jakob took off and launched an impressive attack. He managed to close the gap with two remaining riders of the break, but with 13 kilometres to go he went solo and took the stage with an impressive solo attack. 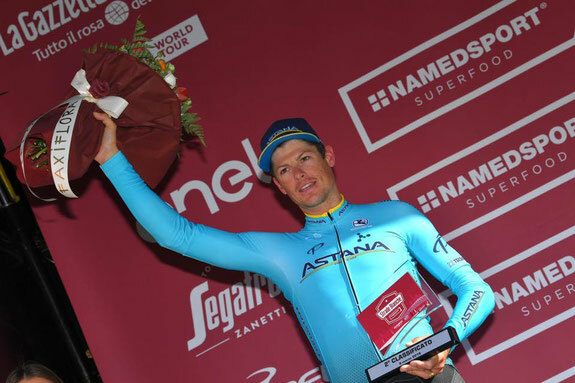 After an impressive race, Jakob Fuglsang finished second in Strade Bianche. He dominated the race and split the front group with a strong attack in one of the last sectors. He attacked multiple times in the final, ending up with only Julian Alaphilippe to fight for the victory. The french rider eventually won the race just in front of Jakob, after the final steep climb in Siena.
" I felt very strong and I did everything to win today. 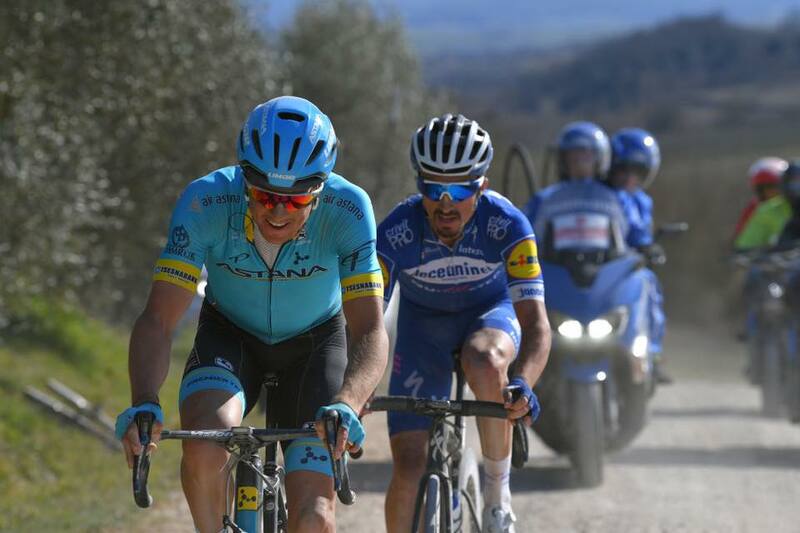 In the end, Julian Alaphilippe was able to hang on and to counter-attack in the final kilometre. Of course I would have liked to win this race, but I can be satisfied with the way I raced. The team was strong today and because of this I ended up in a selected group together with Alexey Lutsenko. I knew I had to try to force something, so I attacked and only Alaphilippe and Van Aert were able to follow. It would have been in my favour if they chased us a bit more, because now Alaphilippe was not pulling and was able to save some energy for the final. But I did everything I could today so I should be happy with this second place. I'm sure with these legs I will be able to get that first place on the podium in one of the next races." said Jakob. 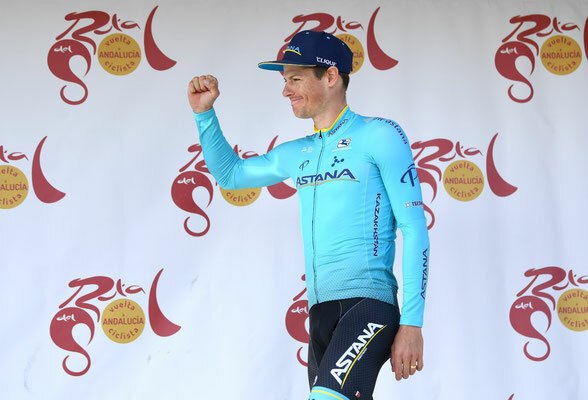 It was a perfect end of the week for Astana Pro Team with Jakob winning the overall classification at the Vuelta a Andalucia Ruta del Sol 2019.
" I am very happy with my win, Our team lives a very nice moment now at the start of the season and I am happy to bring the team the 6th GC victory in a row. I was able to come in a good shape to the start of the year and I felt well during this week. But, also, I can say that this is the team's win, the team's success. Today's victory brings me additional confidence in myself and proves I worked in a right direction during the winter. We are still in the early period of the season and all the big goals are still lying ahead. But we are on the right way to it, " says Jakob. 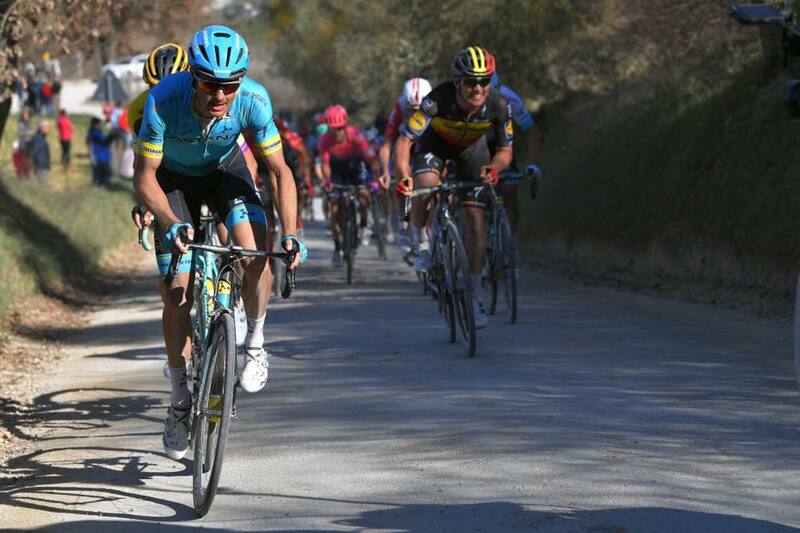 Astana Pro Team did a perfect and aggressive race at the queen stage of the Vuelta a Andalucia, moving Jakob into the lead of the general classification of the race.
" We did a very good race, our main goal was to take the lead and we did it. At the last two climbs of the day we put Tim Wellens under a big pressure with our attacks, and also Michelton-Scott helped us with their attacks. It worked perfectly for us. Simon Yates was strong today, maybe i could have followed his attack but i preferred to control my closest rivals since he was out of GC. The overall classification was our priority for today so i just followed our plan. The team did a great job, all my team mates were very strong. In the final I had a big help from Ion Izaguirre and Pello Bilbao. We did a good downhill and had full control over the race until the finish. I am happy to become the leader of the race. We still have one difficult day tomorrow but in the same time we have a strong team to fight to the finish line to keep my lead." says Jakob. Jakob did an impressive individual time trial at the 3rd stage of the Vuelta a Andalucia, finishing 2nd only 2 seconds behind stage winner Tim Wellens.
" I just gave my all today. Can't say that this time trial suited me very well, it was quite short and explosive. I would prefer to have longer climbs but today there were just two hard but short climbs in the beginning and in the end and a long fast downhill in the middle. It is a pity that I didn't win because I was really close today. But we still have one very hard stage tomorrow and as we saw today, we have a very strong team, We will try to do something in the queen stage. " says Jakob..
Astana pro Team had a very good start at the Vuelta a Andalucia Ruta Ciclista del Sol with the finish of the first stage atop a short but very steep climb in Alcalà de los Gazules. Jakob attacked on the climb and finished 2nd on the stage.
" In the first part of the final climb it was strong headwind. I had a good position and I was able to come in front in the middle of the climb. Tim Wellens went away and it was hard to follow him in that moment. I lost speed a bit going into the last steep part but i was able to come back and to finished 2nd. So, it is one more 2nd place for me but in general i can be happy with this stage. The feeling was good so we will see in the next days." says Jakob. 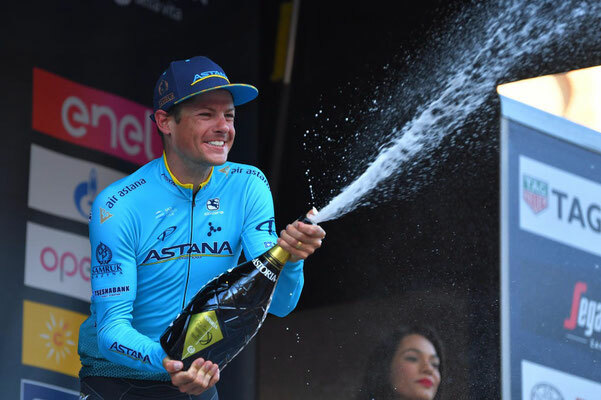 The Vuelta Ciclista a Murcia has been a very successful one for Astana Proteam taking not only the general classification but also secondary wins. Pello Bilbao won stage 1 while Luis Leon Sanchez was the winner of stage 2 and the overall classification. Jakob did hard team work on both days helping the team secure those victories and got rewarded by winning the Mountain jersey. His legs feel good and he is ready for the upcoming Vuelta a Andalucia - Ruta del Sol. 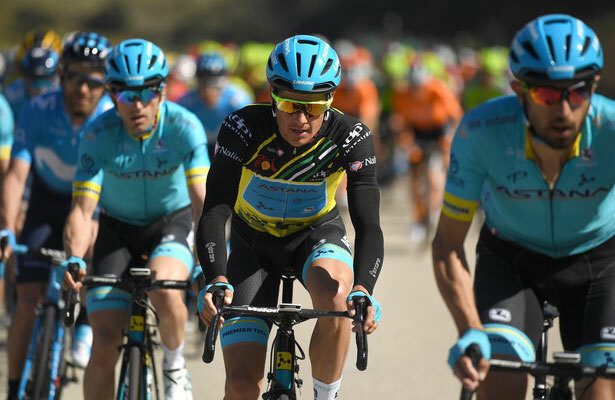 season 2019 leading the Astana Pro Team. His first race will be Ruta del Sol from the 20.2 - 24.2. He is already fully into preparations for the upcoming races. The team held its first trainingcamp in December in Calpe, Spain. Jakob is ready to fight another season, to improve his performances and take the best out of himself in the upcoming races. His first big goal is Tirreno Adriatico where he will go all in for the Overall Classification. Jakob started this year's Tour de France with high ambitions aiming for a final top 5 or even the final podium. The preparations have gone well and he was ready for fight. The first week took the riders over a few challenging stages including Mur de Bretagne where Jakob finished with the other GC contenders. Jakob was hoping to make a first difference on the stage 9 which was a real " roubaix " stage taking the riders over many cobble sectors. Jakob attacked several times but didn't manage to make a big difference and finished with the other GC contenders. After the first rest day the riders then hit the first real mountains, starting with the finish on " le grand bornand". After that stage, Jakob had moved up to 4th in GC. The following stage taking the riders up to " la Rosière " turned out to be a black day for him. He had to let go of the favorite group with 10 km remaining. He hadn't felt good that day, his forces left him and he just tried to limit the loss and ended the stage 3min50 behind the winner. He slipped out of top 10 which of course was a big disappointment but the Tour was long and he wanted to keep fighting. The following stage took the riders up the popular "Alpe d'Huez", Jakob finished 8th with only small gaps between the GC favorites. The 2nd week ended with some more easier stages and a restday in Carcassone before the riders hit the last challenging week in the Pyrenees where several very hard mountain stages waited for them. Jakob was motivated but he could feel that his body didn't really work the way he wanted it to, something was wrong but he couldn't really figure out what while one hard stage hit the next. The podium seemed impossible by now but he wanted to fight for the best possible GC result. While trying to recover from whatever made him not feel himself, he tried to fight stage by stage and see what he could get out of it. On the last mountain stage which was a real mountain marathon ending in " Laruns", Jakob attacked on the popular " le Tourmalet " with around 100 km to go, aiming for a stage victory and an eventual time gain on the other GC contenders. He got away but his forces left him soon after and he got caught back by the favorite group. From then on it was about fighting until the end of the stage. All that was left now was the individual time trial and the final stage in Paris. Jakob finished 12th in GC which was a huge disappointment for him as he aimed for much more and had prepared himself at the best possible. "Of course I am very disappointed about this year's Tour de France and my final result, I aimed for much more and also expected much of myself, but something just didn't got right and I simply didn't feel myself on the bike. I didn't have the energy as i usually do, I couldn't deliver the way I usually do so something was wrong with me. Now it is about finding out what exactly went wrong and then I will look forward to the next races. 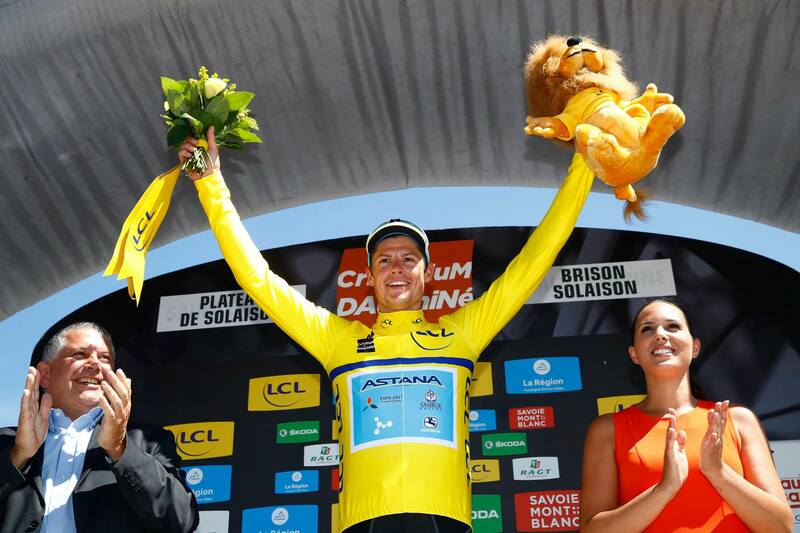 It was not my last Tour de France and I will definitely come back stronger. " says Jakob. 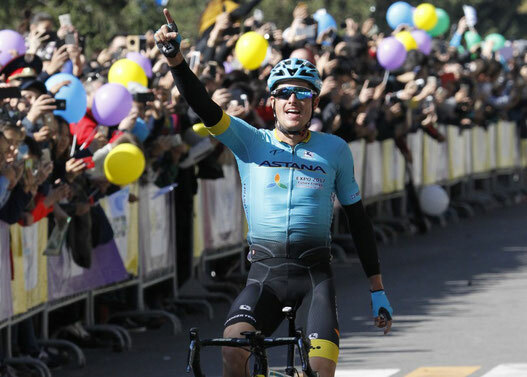 The Astana Pro team anyway got 2 stage victories with Omar Fraile winning stage stage 14 in Mende and Magnus Cort winning stage 15 in Carcassone. Jakob will now recover from the Tour and look forward for the upcoming races. Jakob hit the general classification podium at the Tour de Suisse finishing 2nd Overall after a stunning performance on the Queens mountain stage in Arosa where he finished 2nd and a very strong final individual time trial in Bellinzona. 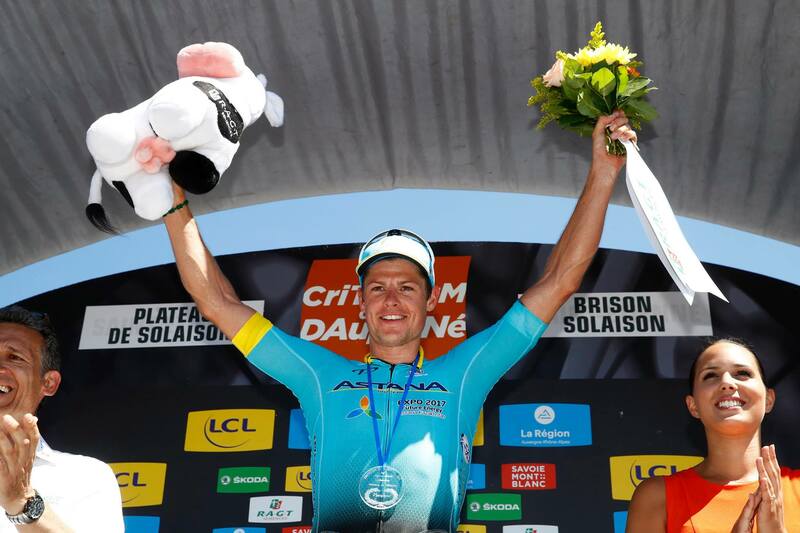 The leader of the Astana Pro Team finished 8th in the time trial, becoming the best rider among all GC contenders. This result was more than enough to move Jakob onto the final podium of the Tour de Suisse.
'' This is a great result, which brings me a lot of confidence ahead of the Tour de France. 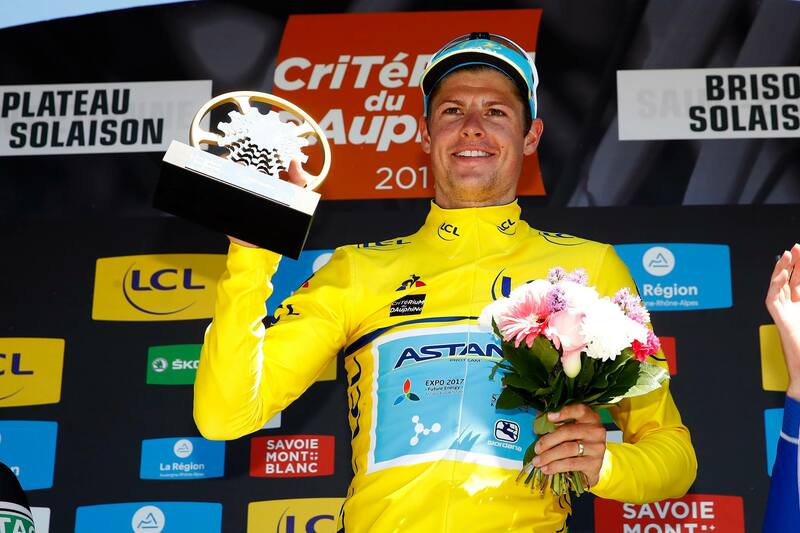 I won the Critérium du Dauphiné last year and now i am 2nd at the Tour de Suisse. This tells me i am on the right way. In today's TT I just gave my all and everything went perfect. I worked a lot on my TT skills last year and now this work pays off. I am really happy to be on the podium. It's true that we did not have a good Team Time Trial at the beginning of the race, but stage by stage we could improve as a team and the final podium is a nice reward for all of us.'' said Jakob. In the next days he will do a recon of a few Tour de France stages and he will continue his preparation for the Tour. Next up... Tour de France! 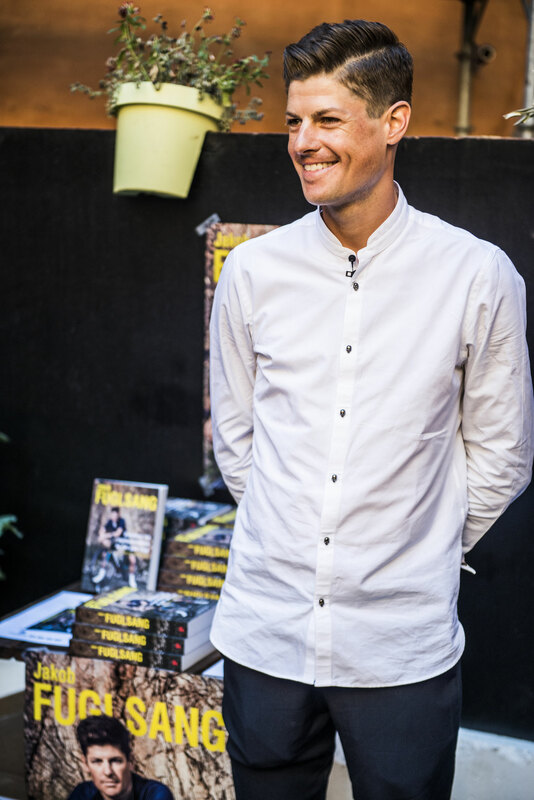 Jakob has released a book about his story in cycling and life, written by Rasmus Staghøj and published by Politiken. It was a project that took a few months of work as Jakob's story is a special one. The book is something like a biography but much more special than that. 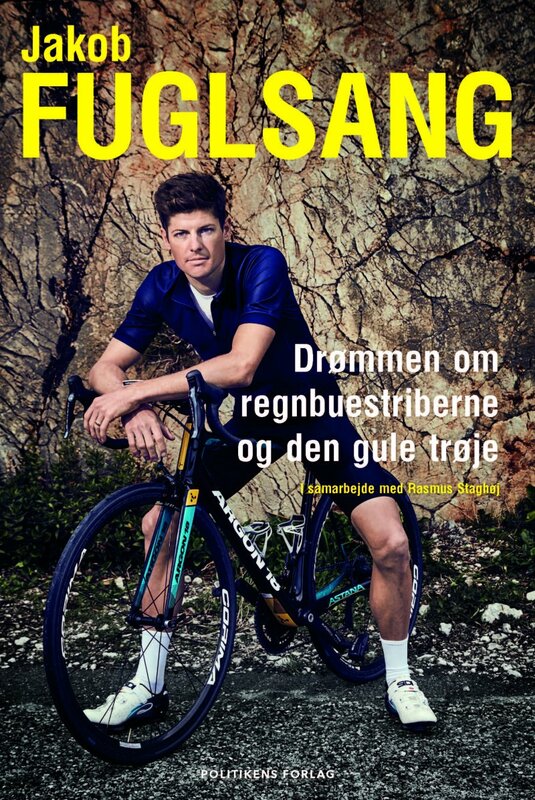 The truth behind his mysterious character, the beginning of his successful career, the passion for cycling, the ups and down in his career but also in life, the hard and long process to becoming the popular pro cyclist, the olympic silver medal that changed it all and the big dream of the rainbow stripes and the yellow jersey. Jakob is stronger, more confident and more focused then ever before, he is ready to fight to reach his goals and follow his dreams. 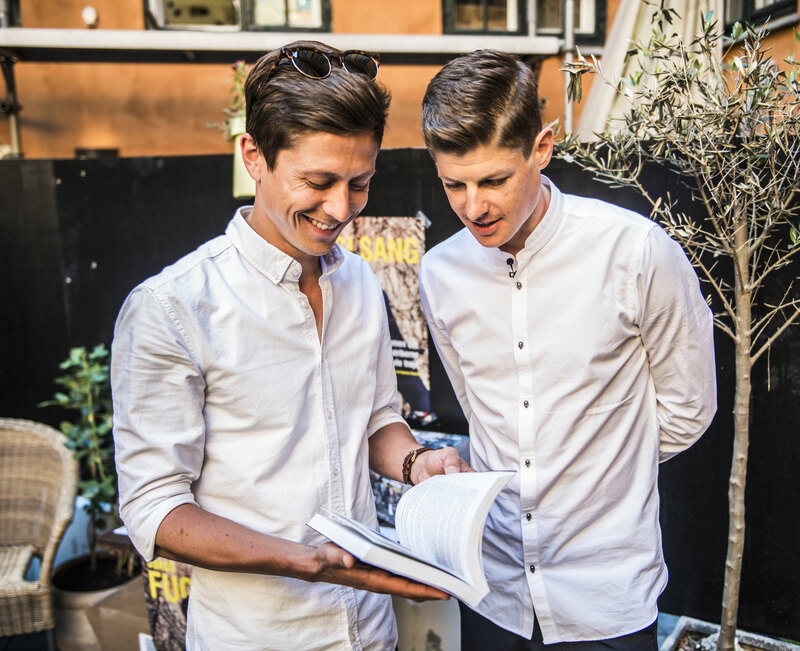 The book has been released and presented in Copenhagen on Wednesday 6th June. It was a very busy day for Jakob with 2 tv shows and 21 interviews as well as a small reception. After an impressive attack in the final 15 kilometers of the Queen stage, Jakob finished his first solo victory in 2018.
" I already tried to attack in the final climb but going downhill I had to chase and close the gap with the leaders. But luckily halfway the downhill the road went up a little bit and at that point my sports director Dimitry Fovonov was screaming at me that now was the moment. But i told him I was already racing at my limit. But just after that moment I was in the perfect position, just behind the group that was mostly looking at each other so I took my chance. 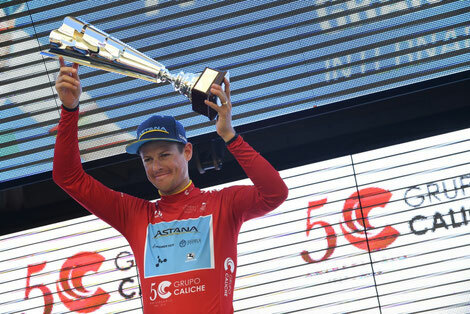 I'm really happy with this victory, it gives a really good feeling and a lot of confidence for the start of my preparations for the Tour de France in a few weeks." told Jakob. It was a149km long stage starting and finishing in Sion. With 3 climbs of the 1st category and 2 climbs of 2nd category, the riders had a hard day on the bike. At the start of the final climb, the breakaway was caught and it all came down to a small group of riders. Jakob attacked but got caught again. With 15 km to go he then attacked again for a solo finish in the streets of Sion. With his stage victory, Jakob climbed to the 4th place in General Classification. Next up... some rest before the final preparations for Tour de Suisse and Tour de France. Jakob Finished 10th at this year's Liege-Bastogne-Liege. Winner Bob Jungels attacked with 20 km to go and remained in front of the chasing group of favorites until the finish. Jakob was part of the favorites group but Michael Woods and Romain Bardet were the fastest in the end and took the other podium spots.
" We tried our best today, but the team with the most riders in the final are the one winning the races. Today Gilbert and Jungels did a good job. I tried to do my best but it was not enough today. I knew it was hard to get Bob Jungels back, but nothing happened in our group to close the gap. For the final sprint I was in the right wheel and I gave it all but at the end it was not enough for the podium today. " said Jakob. An unexpected breakaway of six riders, including Tanel Kangert, almost made it to the finish. But at the end it all came down to the final climb of Mur de Huy, with Julian Alaphillipe finishing first. 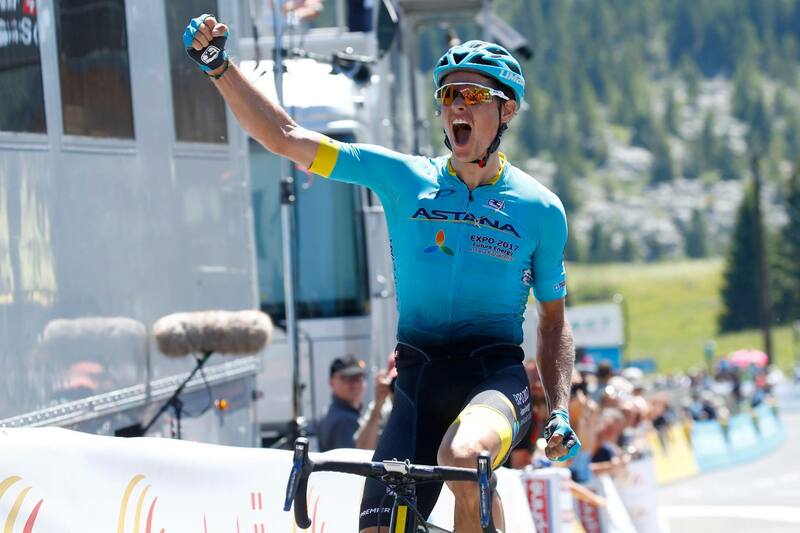 Jakob was the first riders of Astana Pro Team to cross the finish line in a 16th place.
" The start of the race was easier than expected, with the expected teams controlling the race right from the start. But when Tanel Kangert took off in the breakaway we hoped he could make it to the finish with that group, because we knew this would be the only way we could race for a victory. At the end it was a pity that he didn't make it and I did my best on the final climb. After all it was a good day and I was feeling good, so now I'm really looking forward to Sunday when we race Liège-Bastogne-Liège, a classic race that suits me better than the past two Ardennes classics. " told Jakob. 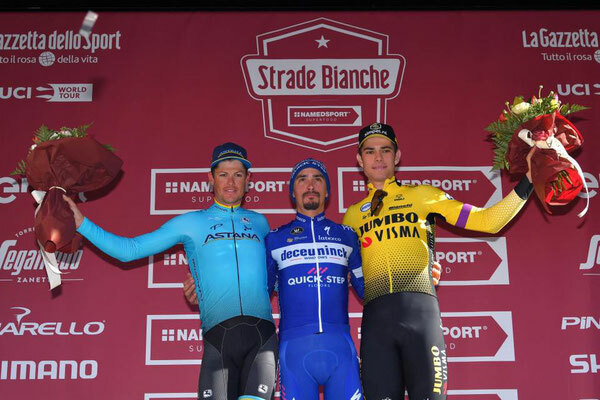 After impressive teamwork during the day, from closing the gap with the breakaway to Jakob attacking several times in the final, it was Michael Valgren who finished it off with his second win of the season.
" It was a good race. I was a little excited to see how I was after a month without racing. But I was really happy with my feeling today. We ended up in the perfect position, together with Michael, to race for the victory and it's great that we could finish it like this. I'm happy for Michael that he won after his second place of a few years ago." said Jakob. This year the luck wasn't on Jakob's side in Paris Nice. A crash 2,8 km before the finish caused Jakob to lose 1:38 on the 1st stage, which ended his GC hopes. The team anyway worked hard and Luis Leon Sanchez managed to become the new race leader. They tried everything to defend the yellow jersey. Jakob sacrificed himself helping Luis Leon Sanchez to remain race leader. On stage 7, a final climb of 16,3 km awaited the riders. Jakob worked hard to help defend the leader's jersey but they were defeated and had to pass it to Simon Yates. Jakob was anyway very happy with his shape and progress and is looking forward to the upcoming races. Next up... the ardennes classics which will be help in April. "In general I'm happy with the past few days, at least about the feeling I have on the bike. The whole team has been racing very strong and that is the most important thing as the final result was not what we came for. But we showed that we're there, that we're ready to fight so the spirit is good. Today I felt really good and I raced a good time trial, but somehow it was not enough at the end to challenge the guys on the podium. The numbers were good, the feeling was good, and that's what I'll take with me to the next races. " Jakob's next race will be Paris Nice which is one of his first big goals in the season. Jakob started his season very strong, ending on the final podium of the Volta a la Communitat Valenciana. The 4th stage took the riders over a mountainous route. 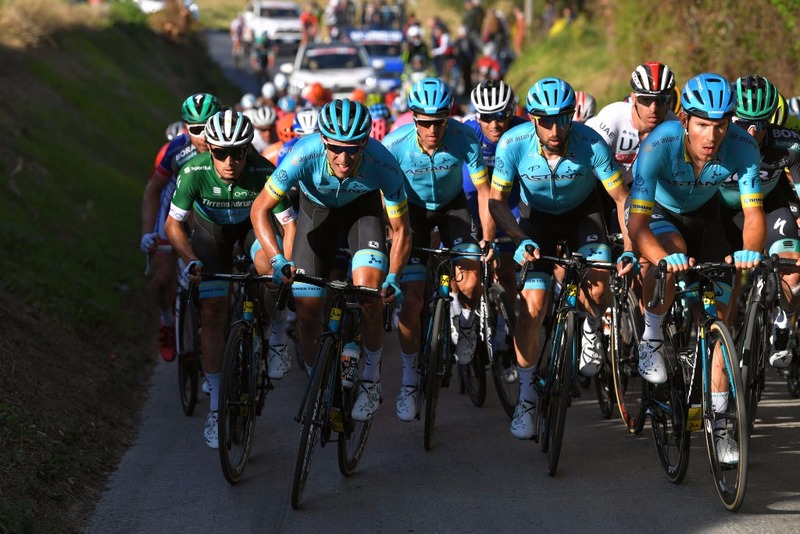 Pro team Astana tried to launch several attacks in the final climb, Jakob was trying to take the overall victory but the yellow jersey Alejandro Valverde was unbeatable.
" We tried and we were up there in the final. I think we can be happy with the race. It's a good start, this is my first race and i feel my form is ok. We still have some times to work a bit more and to improve for the first big goals of the season but so far everything is running perfectly." said Jakob. The final 5th stage of the race has been held between Paterna and city center of Valencia and ended in a bunch sprint. 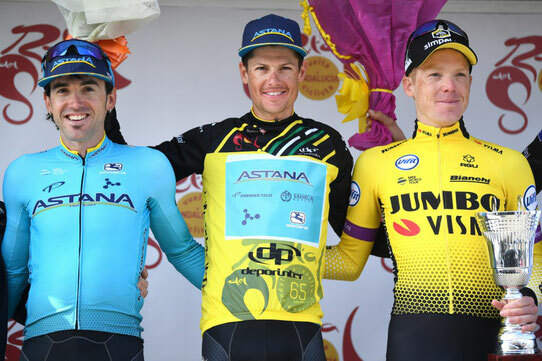 Astana Pro team did a very strong race with Luis Leon Sanchez 2nd and Jakob 3rd overall as well as the victory of the team classification.
" Two Astana riders on the podium in the first race is a very solid result, so i'm happy with my performance and how the team did the race. Now we are sure that we are right where we wanted to be at the start of the season. So we're leaving Valencia in a good mood and with some strong motivation for the upcoming races" said Jakob. Next up... the Vuelta Ciclista a Murcia which will be held on the 10th of February. On the 2nd stage of the Volta a la Communitat Valenciana, Jakob and his team mate Luis Leon Sanchez did a brave race ending 2nd and 3rd. The stage took them from Bétera to Albuixech over a hilly route and a hard climb with 30 km to go. The stage was a good first opportunity for the riders to show their strenghts in the early part of the season. With 2km to the top of the final climb El Garbi, Jakob attacked and was followed by Alejandro Valverde. They passed over the climb together with an advantage of 15 seconds on the main group. A bit later, Luis Leon Sanchez attacked from the chasing group to bridge to the leaders.
" I was first to attack and Valverde came across. He came strong and I realised it could be a good moment to go with him. It was our plan to try something in the final of today's stage so it was a right moment for that After, Luis Leon joined us and i think it was the main reason why we could stay in front until the finish, he was super strong today. Also Luis Leon and Alejandro knew the distance and it was an advantage too. " said Jakob. The trio worked hard the last 30 km, holding a good advantage of 25-30 seconds to the chasing group of 23 riders. Finally, the 3 leaders came together to the finish to decide the stage victory in a sprint. Alejandro Valverde became the stage winner with Luis Leon 2nd and Jakob 3rd. After today's stage Valverde moved in to the leader position of the general classification. Luis Leon Sanchez in 2nd with 4 seconds behind. Jakob is now sitting 3rd Overall with 6 seconds. After 2 important trainingcamps in december an january, Jakob will start his season 2018 with the Volta a la Communitat Valenciana. As a leader for Astana Pro Team, Jakob will try to make the best possible results for the team this year, mainly achieving the general classements. Stage 2 of the Tour of Almaty started at the Halyk Arena in Almaty and finished near the famous speed skating center Medeu. With more or less 5 km to go, on a steep part of the final climb, Jakob launched a powerful attack. He was able to get an advantage and to keep it until the finish line, taking a nice solo victory. - I am very happy to win today. I had some bad luck during the last few months with that crashes at the Tour de France and later at the criterium in Denmark. So, I had to do my best to recover well and to come back on a good level. What why today’s success is so important for me. We did a training on the course of the stage and on the final climb, so I knew what to expect. The team did an excellent job, supporting me during the day and chasing all attacks of the rivals behind me. Yesterday we had a tough day, but I tried to save as much energy as possible to be ready for today. Finally, everything went like we wanted. I am happy to win in the mountains, this gives me an additional confidence in myself. Besides, it is a great pleasure to get a win in Almaty, in Kazakhstan for all our fans here.- said Jakob. Jakob will start racing again in the Grand prix cycliste de Quebec and Montreal. His goal is to find back the rhythm, and test his shape for the upcoming races. After having recovered from his Tour de France injuries, Jakob started racing again on a criterium in Herning, Denmark. Bad fortune appeared to be following him as he got crashed by another rider on the Criterium. Following a hospital visit, they diagnosed that Jakob fractured his left collarbone which required surgery. Jakob has been transferred to Herentals in Belgium to have surgery done by Dr. Toon Claes who did a fantastic job. After some rehabilitation, Jakob recovered very fast and soon started training outside again. The goal was to be able to start racing again in Canada for the Grand prix cycliste de Quebec and Montreal. Jakob started the Tour de France 2017 as team leader with a great motivation of doing a top 5 classification in general classement. After having won the Critérium du Dauphiné 2017, he was very motivated and confident to do a top classification. Jakob made is safely through the first week of the Tour and started the second week with a 5th position in general classement. Unfortunately, Jakob got involved in a crash on stage 11 where he injured himself. After closer examinations, they diagnosed fractures in his left elbow and his left wrist. Jakob decided to keep fighting and managed to finish stage 12. On stage 13, the pain was too strong so that the team decided together with Jakob that he had to abandon the Tour de France to recover from his injuries. 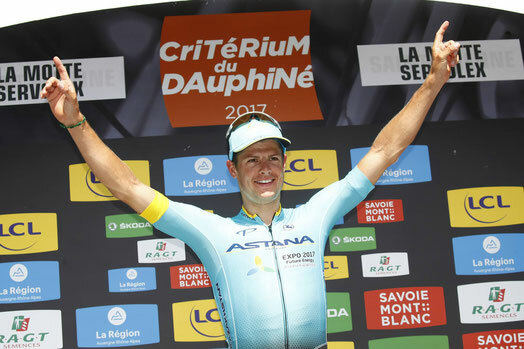 It was a super race by the Astana Pro Team guys at the Critérium du Dauphiné with Jakob at his top performance, winning stage 6, stage 8 and the Overall Classification. Fabio Aru attacked at 50km to go on the Col de Colombier together with Alejandro Valverde, they were then retaken from the top riders, including Jakob, at the bottom of the last climb. Race leader Richie Porte found himself well behind a lead group of rivals at the start of the final climb, it was Jakob who surged into contention for yellow on the steep gradients of the race's last mountain. Jakob jumped clear with Quick-step rider Dan Martin with around 7 km to go, leaving Froome well behind, and then Jakob went solo to take the victory of stage 8. A massive effort in pursuit saw Richie Porte catch back up to and then pass Froome, but the Australian finished 1:15 behind Jakob. 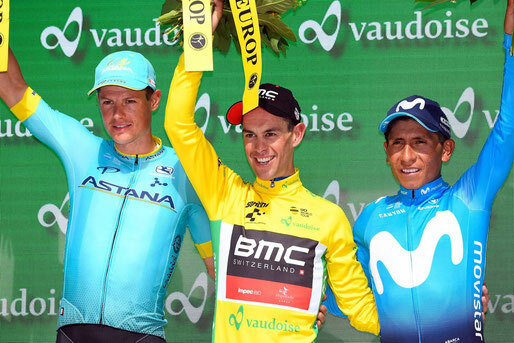 Due to the bonus seconds he earned at the finish line, Jakob took the Overall Victory of the Critérium du Dauphiné, with Richie Porte finishing 2nd and Dan Martin 3rd. "It has been incredible, since the start everyone attacked the yellow jersey, we tried to do the same tactic as BMC, then Richie remained alone and there was a big confusion at the front until Fabio attacked and at the point the other teams had to work to close the gap. I took advantage from this situation and when in the final climb, Dan Martin attacked, I had the legs to follow him and I did. I'm super happy and proud of what i achieved, it's just great. " says Jakob. 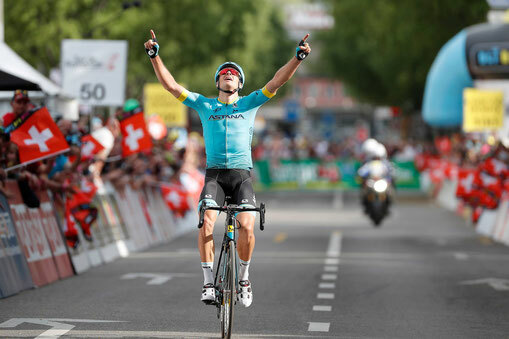 The second mountain stage of the Critérium du Dauphiné has been a very good team work for Astana Pro Team with Jakob 7th on the finish line, recovering important seconds on many GC rivals. 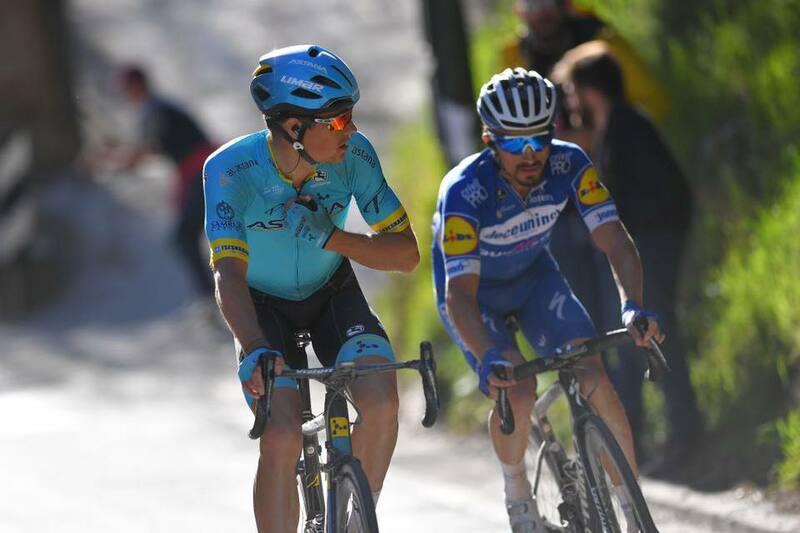 On the tough climbs of the Col de Sarenne and the last 3,7 km of the Alpe d'Huez, there has been several attacks by Jakob and his team mate Fabio Aru.. The yellow jersey then did an important attack with Jakob the only one being able to hold his wheel.
" Another good day... the entire team did a fantastic job doing the best to help me and Fabio. I was quiet with the GC contenders all day long, then Fabio attacked at 3 km to go but the wind was strong in front of us and it was difficult... in the end Richie Porte did a great forcing and I had the legs to stay with him and this way I have gained some seconds on the other rivals. " says Jakob. One day to end the Critérium du Dauphiné with Jakob sitting 3rd in GC, 1:15 from race leader Richie Porte and only 13 seconds from 2nd placed Christopher Froome. Tomorrow's last stage will be another mountain stage of 115km with 4 climbs including the challenging uphill final of 11,3 km at an average of 9,2%. It will be a battle between the GC contenders. Everyone in the peloton was waiting for the first important climb of this years Critérium du Dauphiné. It took the riders up the challenging 8,7 km climb Mont du Chat with an average of 10,3 %. Jakob and his teammate Fabio Aru did the most important attacks of the day. "We knew the climb because we tried it in the days before Dauphiné so we had the right gears on the bike and we could adjust the effort while climbing. Before the start of the climb i asked to my team mate Michael Valgren to bring us to the front and he did an extraordinary job. " said Jakob. Jakob won the stage as he outsprinted the other 3 GC contenders after trying to escape with 1 km to go. It was a tight victory over Richie Porte. "There's been a lot of bad luck for our team this year but finally everything seems to come together and be start to be competitive. Luckily it's now right before the Tour the France. To ride like this at the Dauphiné with two other favourites for the Tour is really nice. 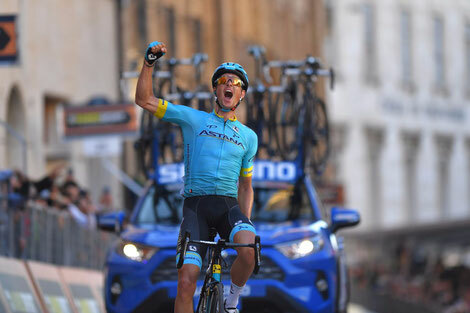 This victory is for Michele Scarponi but it's also for the entire team who did a great job today." says Jakob. The new general classification sees Jakob in 3rd position at 1:15 from race leader Richie Porte. Jakob and the whole Pro Team Astana went trough a very hard time with the big loss of their friend and team mate Michele Scarponi. On the Ardenne classic Liege - Bastogne - Liege, all thoughts were with the family of Michele. The riders were racing with Michele in their hearts, as they will do in the future. He will always be in their memory as the most amazing team mate and great friend. 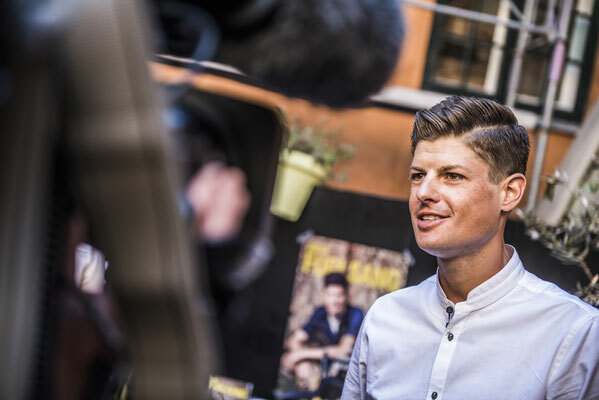 After the Ardenne Classics, Jakob took a planned break off the bike to recover from the races but also from the emotional loss. He is back in training and full in to preparing for the biggest goals of the season, the upcoming Critérium du Dauphiné as well as the Tour de France. Soon he will leave for a long Altitude training camp on the popular Teide in Teneriffe where he will continue his preparation. The shape is good and the preparation is running perfectly. Jakob will use the Critérium du Dauphiné as a preparation and will try to do a top result in General Classification in Tour de France. The 52nd edition of the Amstel Goldrace has opened the traditional Ardennes Classics week in the Netherlands. The peloton passed 261km from Maastricht to Berg en Terblijd near Valkenburg. The race was impressively won by the Belgian champion Philippe Gilbert. Astana Pro Team competed with Michael Valgren and Alexey Lutsenko as team leaders, and Jakob as road captain. Michael Valgren had done a great performance arriving 2nd at the Amstel Goldrace 2016. This year he attacked from the chasing group with a few km to go to try to get a top - 10 classification but he was caught back by the rivals and finished 35th inside a big group. Jakob did his job as a road captain and full filled his roles as a helper. 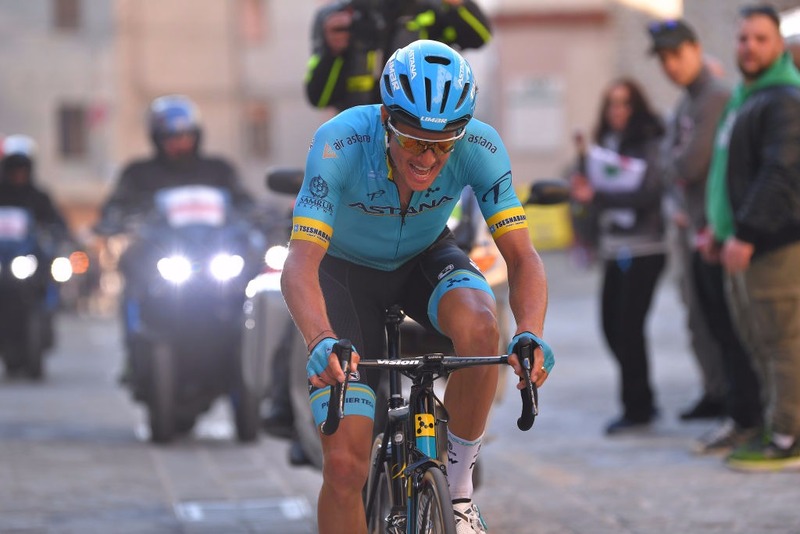 On Wednesday, April 19th, Astana Pro Team will continue the Ardennes Classic week with la Flèche Wallonne. Jakob will be team leader for that Classic and try to do a Top Classification. The prestigious world tour race Paris Nice didn't start at its best for Jakob. Unexpected high winds and stormy weather caused the peloton to break in many pieces on the 1st stage. Jakob was in the 2nd group with mainly all the other GC contenders until he was unlucky to have a flat tire in a bad moment. This cost him his ambitions for the General Classification of Paris Nice. The following stages were marked by stormy weather and ended in Sprints. On stage 6 the peloton hit the first mountains with a steep but short finish in Fayence where Jakob finished 6th. The tactic had changed and he now worked for a stage victory. Stage 7 was the queens stage of Paris Nice with 3 mountains of category 1 and more than 4000 altitude meters of climbing. The stage finished for a first time on the 15km long col de la Couillole, the highest finish ever in Paris Nice. Jakob was very active and tried to attack several times of the final ascent, having a battle for victory with Richie Porte who ended up winning the stage. Jakob finished 6th on the queens stage. Stage 8 led the riders over several mountains and the category 1 col d'èze before having the final finish in Nice. Jakob wanted to take his chance and attacked several times on col d'èze but the other contenders wouldn't let him get away.
" I am really happy with these three mountain stages here at the Paris-Nice. Think these stages showed I am where I have to be for now. That makes me happy and I am looking forward towards the Tour de France. To be there in front all three days with all the leaders is important for me, because it shows my stability in the mountains and also that I have legs to try something as well. I am pretty happy with my performance here in France. Now it is time for some recovery, because we had here some really hard stages. And later my next goal will be the Volta a Catalunya " - said Jakob. He ended Paris-Nice 12th in GC and is hoping for more luck in the upcoming Volta Catalunya where he will give it a new try for GC. Jakob experienced a few good stages at this years Tour of Oman, arriving 3rd in stage 2 and 5th in stage 3. Jakob was 3rd in GC until the decisive stage 5 finishing on the Green Mountain, where he still missed a bit to stay with the best.
" Of course i would have been happy to keep my 3rd spot in GC and finish it on the podium like last year but it doesn't always work the way you want. It's still early in the season and there are many important races to come. Now I'm back home preparing and training to make sure I'm ready for the upcoming races. " Jakob's next race will be Paris - Nice. Jakob moves to 6th Overall after the Queen's stage. The mountain queen's stage of 180km ended with the hard 4km climb Camins de Penyaglosa and shook the general classification of the race. Jakob did a strong first race of the season, finishing at 6th place in General classification. The start of the 2017 season is just around the corner. The world tour will kick off in Australia in a little week and Jakob is currently preparing the upcoming season in Calpe, Spain, where the team has its first camp of the year. There has been a lot of changes in the team from 2016 to 2017. Not only has the team changed about 1/3 of the riders, but basically also all the material. Astana pro team and Jakob will in 2017 ride on Argon18 bikes, with Giordana cycling clothes, Limar helmets and Sidi cycling shoes. Jakob's provisorial race program until the Tour de France has been decided, he will start in Spain with the Vuelta Cyclist Comunidad Valenciana from 1st to 5th of February. The rest of his race program you can find under 'RACE PROGRAM'. 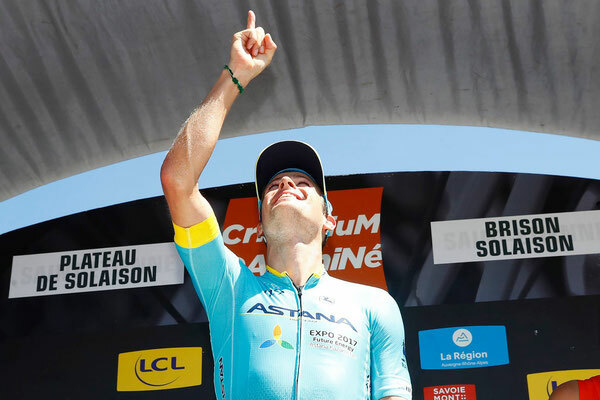 Jakob's main goal for the season 2017 will be the Tour de France where he will be the captain for Astana Pro Team. This year's Olympic road race took the riders over hard and challenging 240 kilometers trough Brazil. It was a race full of action with well deserved medal winners. " It was a super hard race, i gave it all and took the right decisions with the amazing help of my two team mates Christopher Juul Jensen and Chris Anker Sörensen. And the luck was on my side that day as well. I am super happy and proud for the silver medal for me and my country. " says the Olympic medallist.